NiSource’s NI subsidiary, Columbia Gas of Massachusetts, proposed to increase gas rates for natural gas customers in southeastern Massachusetts. If approved by the Massachusetts Department of Public Utilities, without any changes, residential customers will have to pay an additional $4.95 in every month, up nearly 3.6% from the existing rate. The proposed rate hike of $24.1 million will be adjusted by $9.1 million in the first year, owing to the positive effect from the implementation of Tax Cuts and Jobs Act. Columbia Gas of Massachusetts is planning to increase current operating revenues by 3.9%. The proposed $24.1-million increase will enable the company to recoup costs and comply with stringent federal and state regulatory regulations. Also, the unit will be able to redeem capital costs incurred for upgradation of gas infrastructure since 2016. Following an approval, the new rates will be effective from Mar 1, 2019. 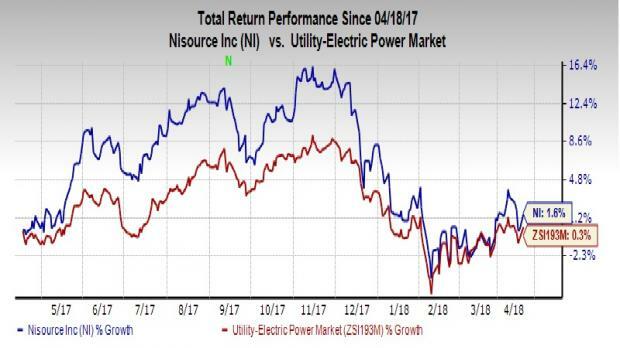 NiSource, a fully-regulated utility company, is dependent on rate hike to continue with any kind of investment. To deliver safe and secure natural gas to customers, it is important to replace ageing pipelines, fix leakages and focus on operating services as well as maintenance of infrastructure, which require regular investments. A regulated utility is required to have hike rates on a regular basis to continue with long-term infrastructure spending. Upgraded infrastructure allows the utilities to provide better service and cater to rising demands. Along with NiSource, few companies from the Utility sector filed rate hike application in 2018. Public Service Enterprise Group Inc. PEG requested to increase its electric and gas base delivery rates to the New Jersey Board of Public Utilities. Recently, Duke Energy DUK proposed to increase electricity rates for customers residing in North Carolina. NiSource has a Zacks Rank #3 (Hold). A better-ranked stock in the same industry is CenterPoint Energy, Inc. CNP, sporting a Zacks #1 Rank (Strong Buy) and posted an average positive earnings surprise of 0.78% in the past four quarters. You can see the complete list of today’s Zacks Rank #1 stocks here. NiSource’s shares have gained 1.6% in the last 12 months, compared with the industry’s growth of 0.3%.